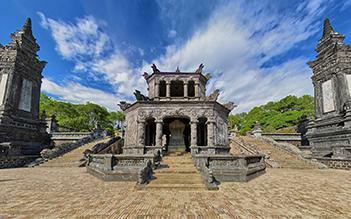 Hue was once the Imperial capital and now listed as a World Heritage site. 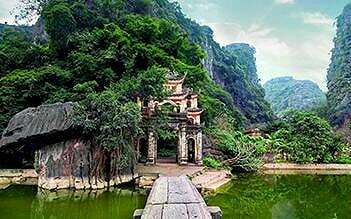 Sitting on the Banks of the delightful Perfume River you will find amazing citadels, fabulous palaces, and royal tombs. 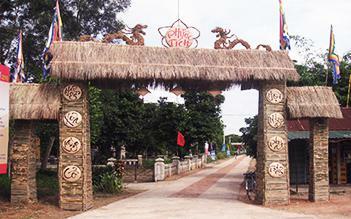 Join Hue city tour, tourists see not only special historical sites but also beautiful landscapes of the ancient city. 8:00- 8:15 Pick up. 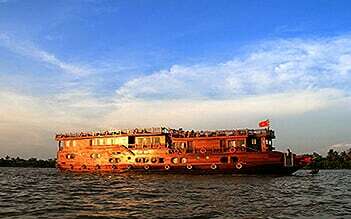 Our local guide of Hue city tour will pick up you at your hotel and transfer to the boat station. 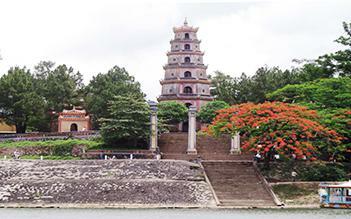 – The boat landed to visit Thien Mu pagoda (The most beautiful pagoda in Vietnam). + The Royal Antiques Museum: A gallery of antiques displaying collection of bronze pottery, Chinaware, Phap Lam enamel, court robes, headgear and personal belongings of former Vietnam Emperors of Nguyen Dynasty. 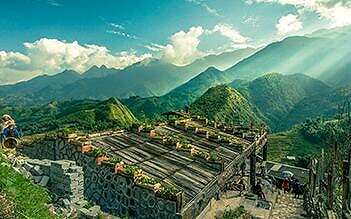 +Conical hat village: To see and learn how the locals make the conical hat (non la). (Non la - traditional indispensable accessory expressing the hidden charm and simplicity of women). Great Trip They show we many thing in Hue. Many experience for visit. We can walk, running, and take a good day ..thanks Day tour! Great day trip We had a great day trip and it was very well organised and great communication from the start. Visited several of the Emperors' tombs before walking around the Imperial City. Lots of information. We were only going to be in Hue for two days I booked this trip last minute on the day we arrived. I got a quick check back from the following day. Our guide was fantastic. Excellent English, very knowledgeable & good humor. He made the ride very enjoyable. 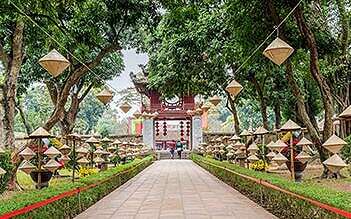 The tour is a great way to see the key sites of Hue, especially the Thien Mu Pagoda & Royal Tombs, which are a good 20 min drive from the city center & in various locations. The lunch was also very good and a lovely restaurant. Overall I would like to know if your time in Hue is limited. Amazing Excellent packed itinerary. Great guide. Vegetarian lunch very good. 8am collection from hotel reception in a private car, which actually turned out to be a small minivan for just the 2 of us! Very new, clean and comfortable, with reclining seats. The tour is fully flexible. We had a great day and our English speaking guide had in-depth knowledge to share with us, I think he was a historian. I do not think we would have enjoyed visiting these sites without a guide, as he contributed so much to the experience. 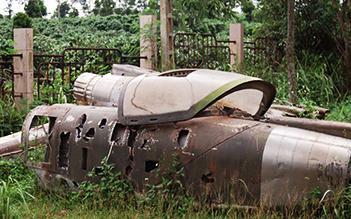 An action packed tour, but perfect for us as we had such limited time in Hue and wanted to see a few highlights. An expensive tour, but you are paying for the knowledgeable guide, the private tour and the flexibility - we would recommend.